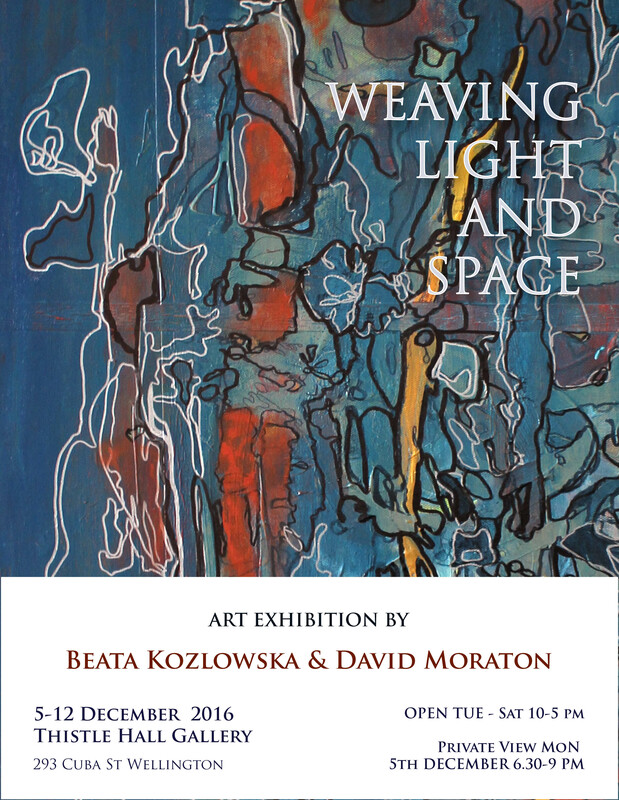 “Weaving Light and Space” is a first New Zealand based collaborative art exhibition by two visual artists with artistic careers in the UK: Beata Kozlowska and David Moraton. The exhibition showcases their recent art works made in Wellington. Lines, strings and light are recurrent elements and main motifs of both artists’ installations, paintings, drawings and videos. Wherever placed three-dimensionally or represented on a bi-dimensional surface, these lines connect each other in weaving structures, mapping the space that they live in, creating complex organic forms and casting lights and shadows. Both artists find commonality in using lines and light to evoke the transcendental through abstract images, which constitute an integral part of their visual languages. © 2019 Beata Kozlowska. All Rights Reserved.